After enjoying our last breakfast in Japan we headed back to our room to pack. We checked out at 11am and then decided to cancel our visit to a little mochi making place in Osaka not too far from our hotel but still would require a bit of walking. 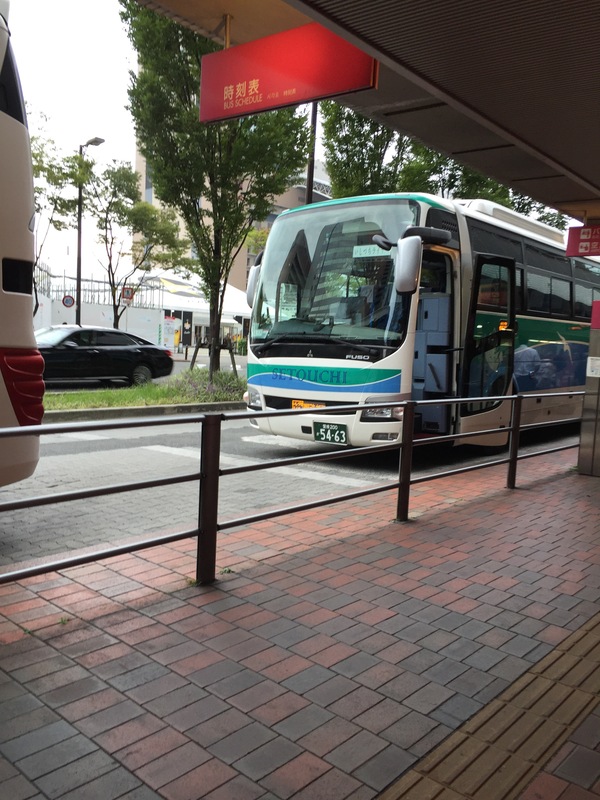 Considering that we did a lot of walking in our week there, and not totally sure of how our trip to Kansai airport would go, we decided to start heading to the airport. We grabbed a short cab ride to an airport shuttle bus pick up point. Our hotel concierge helped flag down a cab and explained to the driver where we wanted to go. Ironically, I think the cab drivers English was better. 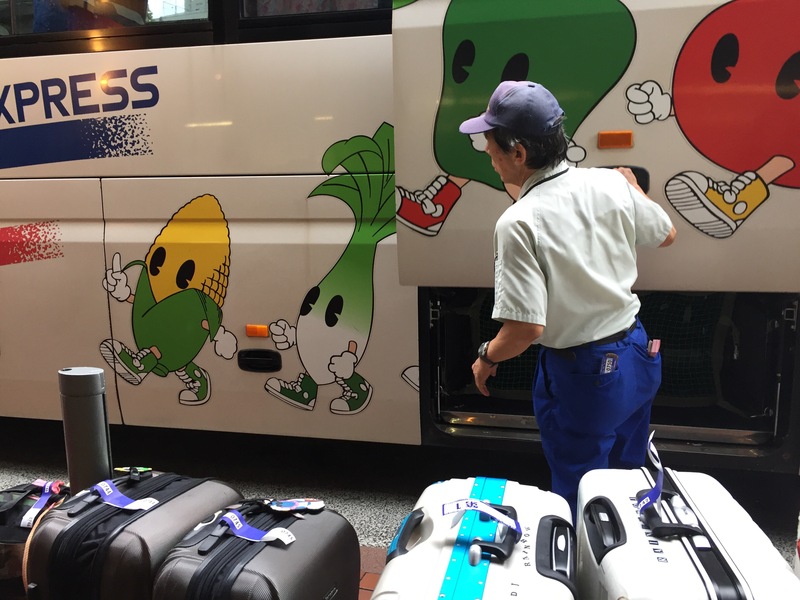 Upon reaching the shuttle bus pick up point we were then given another example of Japanese hospitality. We approached the self serve ticket machine and started to proceed to purchase our tickets when a worker who takes care of tagging and loading luggage onto the buses came over to help. He confirmed where we were going and then took over operation of the machine to get us our tickets. He then showed us where to line up. It is this type of customer service that makes visiting Japan so nice. Most people there don’t necessarily speak English very well but they know enough and often go to great lengths to help you. Then, because of the pride they have in their country and job, they provide a level of service seldom found back here in Canada. This entry was posted in Japan 2016 by touchaku. Bookmark the permalink.